Oh wowzers, this looks amazing; can’t wait to try it! That looks so good! Yoghurt is used a lot in Turkish and Cypriot food (my grandfather is Turkish Cypriot), it’s often just dolloped on the plate as an accompaniment to pretty much any savoury meal! It does look good right?! Oh is that so , so interesting to know , similarly almost every Indian meal has a generous portion of ”DAHI” meaing thick set curd or yogurt as an accompaniment! Although it looks lovely and my husband will love it, I just can’t make myself eat runny eggs! I love Greek Yogurt. hey you could scramble and slam them onto the yogurt , just as good! 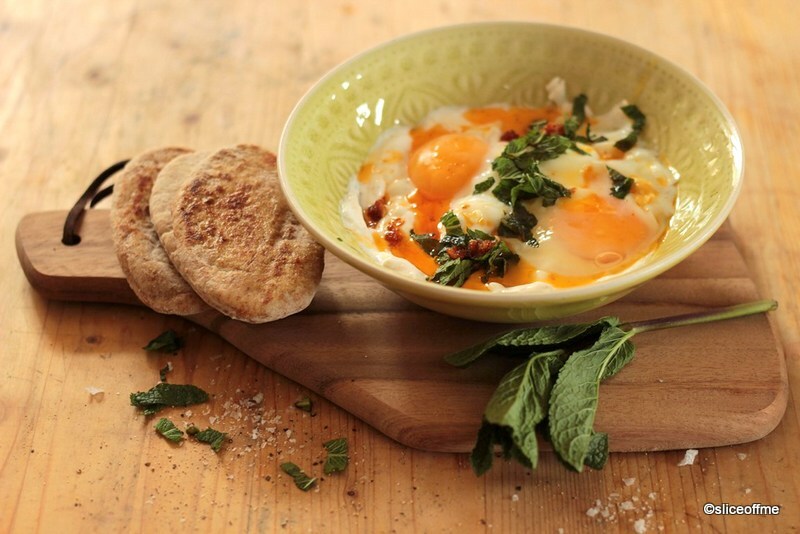 This looks and sounds incredible – I love mint and garlic in yoghurt, and adore poached eggs, so this is sounding like my perfect dish! Thanks Vanesther it must be tried such an easy recipe I love it ! hehehe yeah it is yummy! Me too GG it was quite an unexpected combination. Oh thats lovely I would love to go see the Coventry Gardens soon! Thanks Barbara, oh by all means go easy with the chilly the garlic and butter make up for the flavours then, yes indeed a wonderful alternative to a meatless weekday! I am a big fan of Total Greek and this dish looks lush. 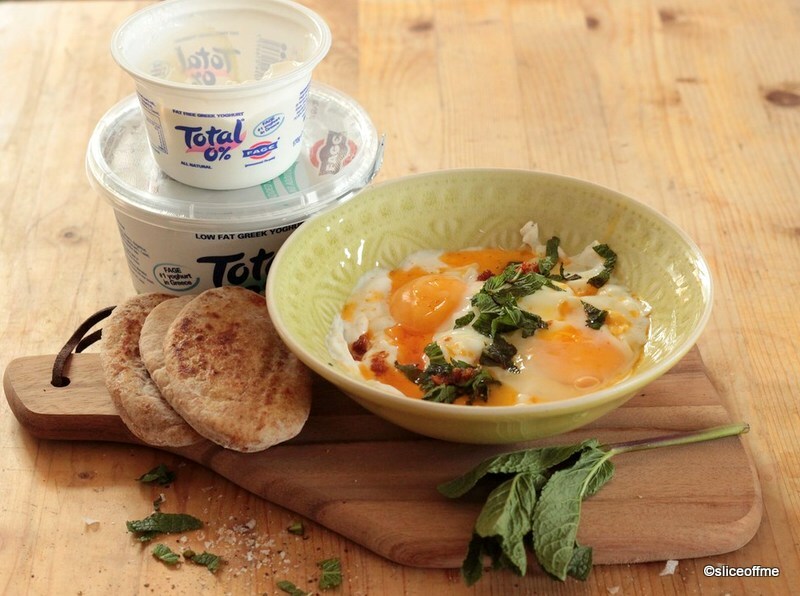 Oh that makes two of us , Total Greek is so creamy and yummm. Thanks! 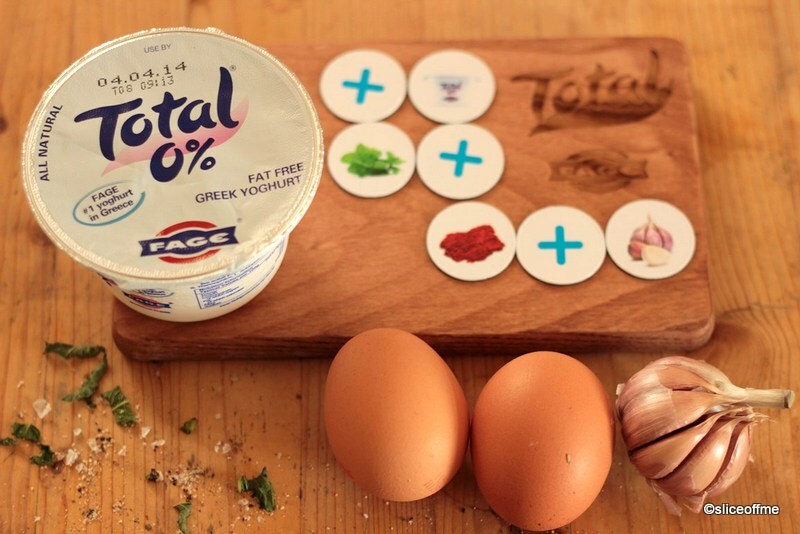 I adore Total Greek yogurt, love poached egg and can’t live without garlic, so I think this dish might just be for me. Oh yes Choclette this is right up your alley! I’ve actually had these served in a Greek restaurant. But, really not my thing as I HATE eggs;) Everyone else was raving about them though!!!! heheh and I LOVEEEE eggs! What an unusual recipe. Looks good though. Thanks Janice, it is such an unexpected combination isn’t it? I love stumbling upon such recipes and the sheer variety of food and ways of cooking across the world never cease to amaze me! These zingy poached eggs look delicious. I have seen them on the menu at restaurants but never got around to trying. It does sound like something I would love though. That makes 2 egg lovers here Tina! It is a super combo I would love to know what you think when u do try it! Thanks Sylvia, I love eggs in any form and just had to try this fabulous new discovery!